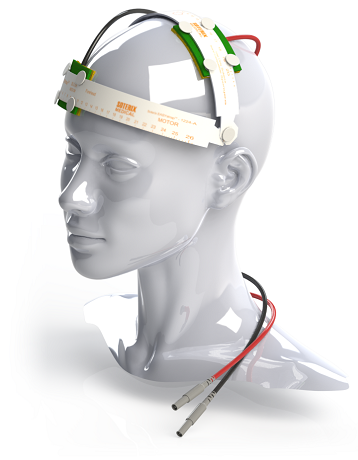 The 1x1-tES is the ultimate research tool for non-invasive electrical stimulation of the brain. 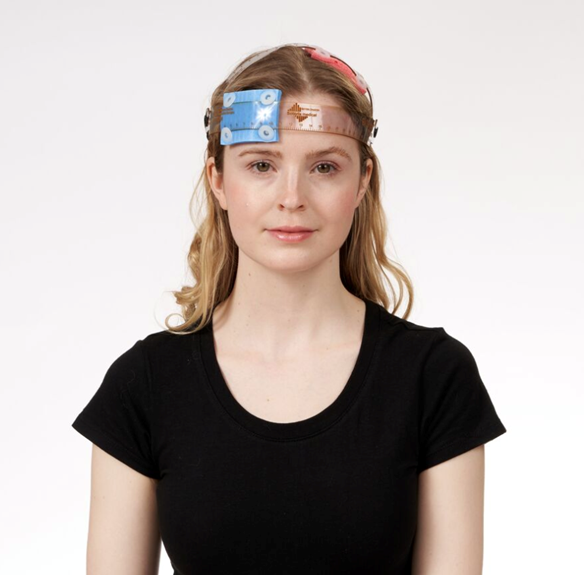 The Soterix Medical 1x1 transcranial Electrical Stimulation (1x1-tES) device is the most sophisticated and precise stimulator ever designed for tDCS, tACS, tPCS, and tRNS. The 1x1 tES represents a decade of biomedical and industrial design to create a device that combines unmatched flexibility, reliability, and easy-of-use through unique Soterix Medical features and the Open-Panel™ interface. 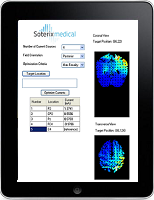 The Soterix Medical 1x1 tES device provides reproduction of tDCS, tACS, tPCS, and tRNS protocols used in clinical trials. The 1x1 tES is thus a single device that be programmed to provide a broad range waveforms. For any tES waveform, a matched sham waveform is enabled simply by engaging the sham switch. The Soterix Medical 1x1 tES is thus the best option for research labs that want the flexibility to test across tES waveforms with the established reliability and precision of the Soterix Medical 1x1 platform. The only pad electrodes designed for tES and industry standard head-gear. The ability to simply upgrade to multi-channel pad stimulation (e.g. 2x1 or 2x2) using the economical breakout boxes. The Soterix Medical brand represents the highest quality and standards in tES because each device is designed based on the latest science and biomedical engineering. The Open-Panel™ interface provides the simplest most-intuitive interface while embedded electronics work over-time to ensure precision and tolerability, even under unexpected conditions. Advancing the practice of tDCS requires devices and protocols integrating the latest advances in technology and science. Soterix Medical was founded to support this effort and continues to provide unparalleled support to every user - with devices and accessories that incorporate exclusive features for rigorous trial design, tolerated procedures, and reproducible protocols. Introduced in 2014, the 1x1-tES stimulator represents the most sophisticated stimulator ever built for tES while building on the validated 1x1 platform. The most essential feature of a programmable tES device is precision and control of current output. 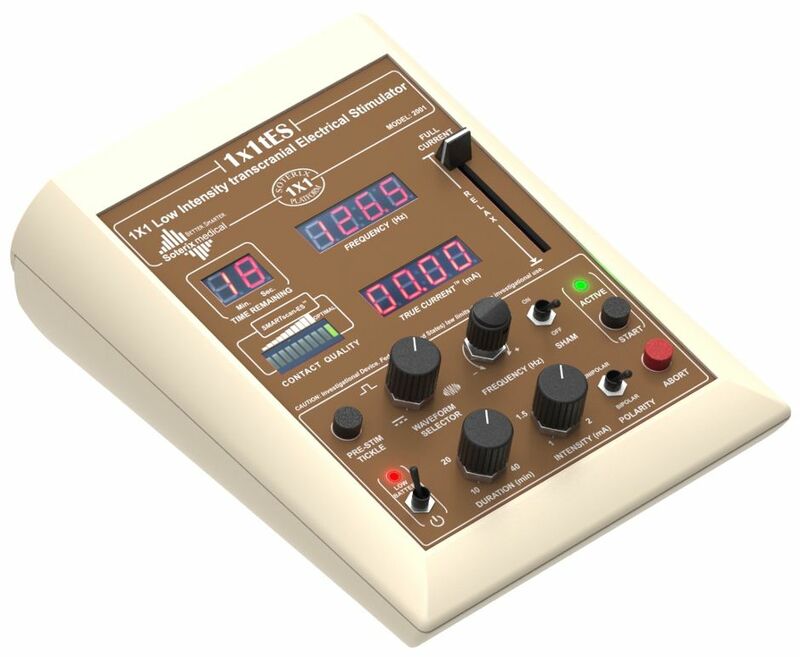 The Soterix Medical 1x1 tES uses state-of-the-art electrical and biomedical engineering design to provide the highest temporal and intensity precision of any tES stimulation device: Adjustable output current in increments of 10 µA, 12 bit D/A, variable sampling time for accurate reconstruction of higher frequencies - 71 µs resolution for 200Hz signals. Control means that across physiological loads (e.g. head size and electrode impedance), the target current is maintained. Soterix Medical is the only company that provides an independent current meter, the “True-Current” feature, which demonstrates reliability continuously during use. Researchers and clinicians used the Soterix Medical 1x1 tES when the highest quality stimulation signal is required. The Soterix Medical 1x1 platform devices stand out for their simple controls and interfaces. Program the device precisely in seconds, with no complex drop-down menu, hidden settings, or need to establish a wireless connection with an external computer. The device program is clearly visible through the knob settings and backlit features like SmartScan™ and TrueCurrent™. 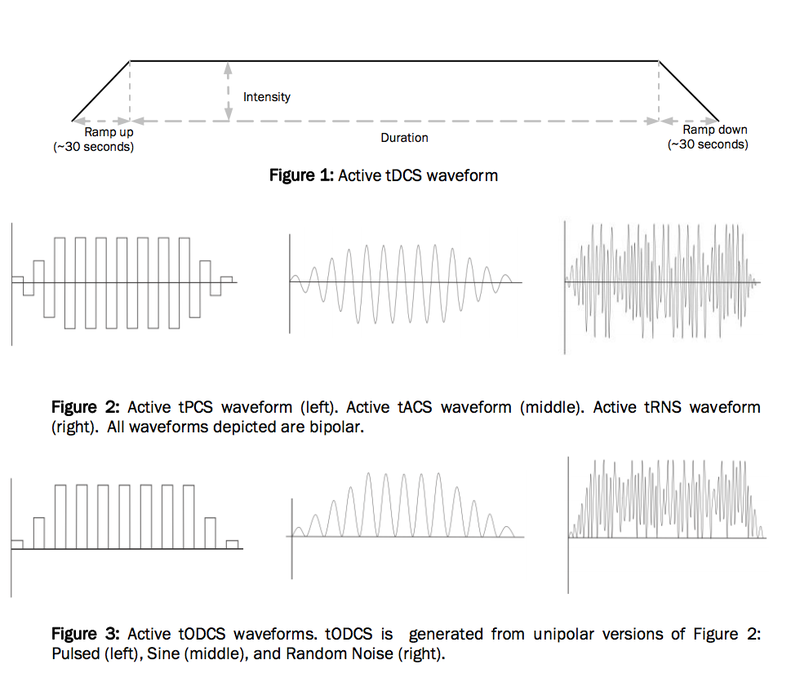 Waveform and frequency control knobs and displays make programming straightforward. With Soterix Medical Open-Panel™, simplicity and clarity means that set-up time and potential programming errors are reduced. The Soterix Medical Open-Panel™ control system was developed to allow simple dose setting in seconds. Easy-click control knobs allow simple programming of stimulation waveform, duration and intensity without mistakes caused by drop-down menus or risks with programming from a computer over wireless. Back-lit status display are visible even at a distance. SmartSCAN™ provides a constant indication of electrode quality that is intelligently adjusted based on the waveform and remaining duration. The Soterix Medical 1x1 tES is the most flexible and precise stimulator, without compromise on easy-of-use and safety. No drop-down menus. No hidden settings. No external computer. Design for simple and clear clinical trials with Soterix Medical Open-Panel™. Each Soterix Medical 1×1 feature was developed by our team of biomedical engineers consulting closely with leading clinical centers. Designed to simply set-up, provide intelligent warning of a fault condition, and allow for adjusting for patient comfort , these features facilitate reliable and tolerated tES. The Soterix Medical SmartScan™ feature is central in all tES devices to allow reliable set-up and monitoring. The Relax™, Tickle™, and TrueCurrent™ innovations were developed for the 1×1 tES. From pre-stimulation set-up, to during stimulation monitoring, to post-stimulation confirmation, the Soterix Medical SmartScan™ feature provides an intuitive and clear indication of electrode contact quality. Use the SmartScan™ during set-up to adjust electrodes and head-gear for optimal fit. During stimulation, SmartScan™ provides a constant indication of electrode quality and can be monitored during adjustments (e.g. addition of saline to drying electrodes). After stimulation, SmartScan™ confirms a successful trial. Because “resistance” is not meaningful for tES, SmartScan™ was developed by Soterix Medical engineers to provide clinical investigators with a simple to read indication of contact quality. An automatic stimulation sham feature that is engaged with a simple switch. Auto-sham automatically calculated and produces a sham waveform based on the indicated “real” waveform. For example, for a corresponding real waveform of 1.5 mA and 10 minutes. auto-sham will provide a ramp up/down to 1.5 mA at the start of of stimulation, and again after 10 minutes, with the timer automatically adjusted such that the total run time us exactly matched to the real case. Based on the Soterix Medical Open-Panel™ design principle: with no complicated programming or hidden drop-down menus required. Optimization of electrode montage for brain targeting and individual subject customization has never been as easier as with Soterix Medical's Neurotargeting software. With recognition that placing an electrode "over" a target does not support rational tES does design, the Soterix Medical Suite of software tools allow simple and automatic optimization. Soterix Neurotargeting software also provides high-resolution current flow visualization that can be used to support publications, presentation and proposals. Don't be confused by copycat software that provides neither flexibility nor precision. Only HD-Explore allows you to place any shaped electrodes anywhere on the scalp, and select from a range of subject heads including with the basic software.